LISLE, Ill., Oct. 26, 2018 /PRNewswire/ -- Building on its commitment to offer customers the lowest total cost of ownership (TCO), International Truck is introducing the International® LT® Series MPG Package for Fuel Efficiency. "At a time when every one-percent improvement in fuel efficiency can save customers hundreds of dollars per truck per year, this new fuel efficiency spec package can help customers achieve major reductions in their TCO," said Michael Cancelliere, Navistar president, Truck and Parts. "In addition to savings from fuel efficiency, the LT Series MPG Package provides customers with upfront savings through cost-effective bundling of a range of aerodynamic, fuel-saving features." The LT MPG Package's highest-efficiency spec offers proprietary and supplier-provided enhancements, including an aerodynamic chassis package, predictive cruise control, air dam and bumper seal, as well as a roof fairing and extenders, chassis skirts and energy-efficient wheel covers. This spec delivers up to an 8 percent improvement in fuel efficiency over the International® LT® Series with just the roof fairing and extenders, air dam and bumper seal. "Spec'ing for fuel efficiency can be a complex process," Cancelliere said. "The LT MPG Package simplifies that process while reducing customer TCO." The International® LT® Series MPG Package is available in day cab, 56-inch hi-rise and 73-inch hi-rise/sky-rise cab models. It can be viewed from October 27 through October 31 at the International Truck booth at ATA-MC&E, Booth #5075 at the Austin Convention Center. 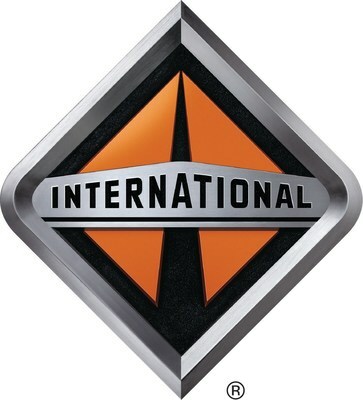 Learn more about fuel efficiency at Internationaltrucks.com/mpg-news.